For his discovery of fossil bones at Kirkdale, Buckland was awarded the prestigious Royal Society’s Copley medal in 1822. He published his famous and lavishly illustrated Bridgewater Treatise, “Geology and Mineralogy” in 1836. Buckland was a proponent of the “Gap Theory”, a theory that reconciled biblical accounts of creation with the scientific discoveries made by modern man. William Buckland was born in Axminster, Devon, on the 12th of March in 1784, the eldest son of Rector of Templeton and Trusham Charles Buckland, and Elizabeth Buckland. William’s interest in geology and natural history was tapped by his proximity to quarries in Axminster which was bountiful with fossil remains. His father had a keen interest in the development of roads and William was often taken on trips near the quarries, collecting Ammonites and other shells. Initially, William was home schooled by his father. In 1797 he entered Blundell’s school in Tiverton and a year later attended Winchester College. There he progressed academically and extended his fossil collection to include sponges retrieved from the chalk downs close by. After some coaching from his uncle, William won a scholarship to Corpus Christi College, Oxford in 1801, and he obtained his BA degree in classics and theology in 1804. He was elected a fellow of his college in 1808, the same year he became an ordained priest. In the course of his studies, Buckland attended the lectures of John Kidd, reader in mineralogy, and those of Sir Christopher Pegge on anatomy. Buckland received a small salary from the college and tutored pupils in classics to increase his income. He also had plenty of spare time to devote to his interest in natural history, especially minerals and geology. Buckland enjoyed collecting rocks and fossils and his specimens would later become the foundation of the University Museum collection. During the years 1808 to 1812, William Buckland went on numerous geological excursions on horseback to different parts of Scotland, England, Wales, and Ireland. He would take his favorite black mare on his journeys and examined sections of strata. He took home many specimens for research purposes during those excursions. In 1813 John Kidd resigned from his post as the Reader of Mineralogy, and Buckland became his successor. He investigated fossil cave faunas in Europe beginning in 1816 and obtained the new readership in geology in 1818. With his colorful, larger-than-life personality, his lectures were popular and his inaugural geology lecture, “Vindiciae geologicae”, sought to reassure his audience that the details of the bible were consistent with facts of geology. He excavated Kirkdale Cavern in Yorkshire in 1821. There he discovered ancient bones of now extinct animals in the UK including those of the hyena, elephant, hippopotamus and rhinoceros. Based on his findings he published his “Reliquiae diluvianae”, in 1823 proposing that in some “anti-deluvial” time hyenas had dragged in prey to their cave to devour. 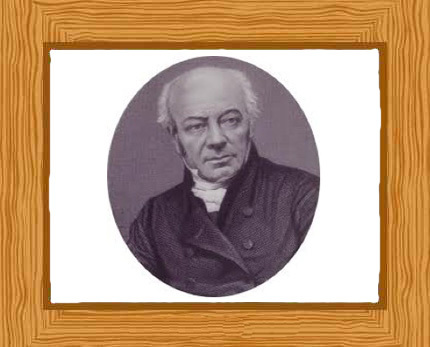 For his discoveries at Kirkdale, Buckland was awarded the prestigious Royal Society’s Copley medal in 1822. On January 18, 1823, William Buckland discovered a skeleton which he named the “Red Lady of Paviland”. The remains were found in a limestone Paviland Cave in south Wales. He first thought that the remains were of a female dating to Roman Britain. Years later and after carbon-data tests, the “Red Lady of Paviland” was shown to be a male from around 33,000 years ago. He became President of the Geological Society in 1824 and announced at his first meeting his discovery of the bones of a giant reptile “Meglosaurus” and a mammalian fossilized jaw in Stonefield slate; the first pre-Tertiary mammalian fossil known. In 1825 Buckland became a canon of Christ Church which came with a residence and a much improved salary. With his increased prosperity he married naturalist and illustrator Mary Morland in December of the same year. They had a shared passion for geology and spent a yearlong honeymoon touring geological sites in Europe. During their marriage, they had nine children, five of whom reached adulthood. After five years of hard work, he published his famous and lavishly illustrated Bridgewater Treatise, “Geology and Mineralogy” in 1836. In his work, he discarded his earlier belief in the universal effects of the Biblical “Noah” deluge. His work detailed in color the geological history of the Earth, showing reconstructed fauna and flora from each geological time period. Buckland took great interest in the glacial theory of Louis Agassiz and, in 1838, he visited Switzerland to meet him and to examine rocks. He quickly became a convert to Agassiz’s theory, recognizing that “millions and millions” of years existed before the creation of the Biblical Adam and Eve. In 1840, these two scientists presented their evidence of the rock deposits and formations caused by former glaciation. The same year, Buckland became the Geological Society’s president once more and despite the hostile reaction to the theory he proposed, he remained convinced that glaciation was the origin of many of the rock surface deposits in Britain and elsewhere in northern Europe. He was appointed Dean of Westminster in 1845 and worked hard on supervising the repairs to the abbey and school. The position was coupled with the rectorship of Islip, near Oxford. By 1850, Buckland was afflicted with a disease which greatly disabled him and he retired to Islip. He died, six years later on 14 August 1856, aged 72. From post-mortem findings, he had suffered from a tubercular infection which had spread to his brain. Interestingly, the plot reserved for his grave contained Jurassic limestone which needed to be blown up before proper excavation could be done; this was seen as final jest from the geologist.